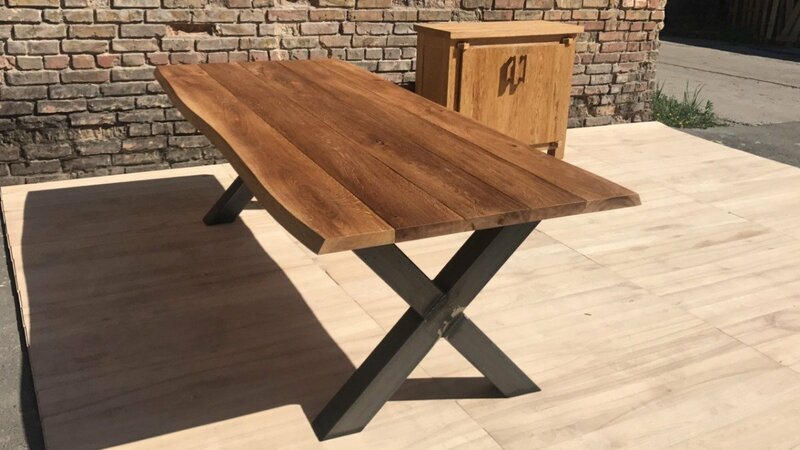 Table for external use with metal legs. 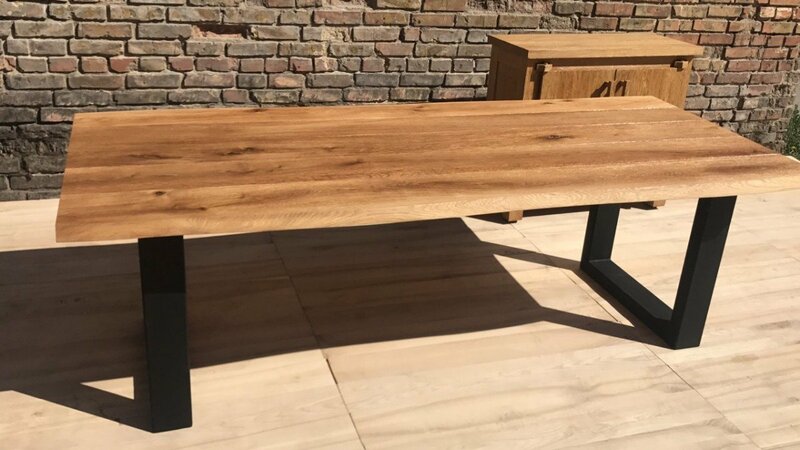 The table top of this table consists of 5 solid slats of natural oak wood. The thickness of the table top is 4 cm. 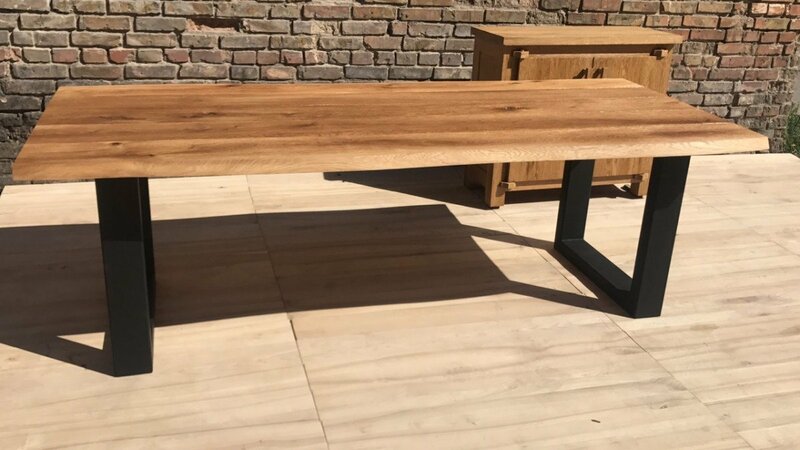 The table length is available from 200 cm to 300 cm. The width of the table is 100 cm. 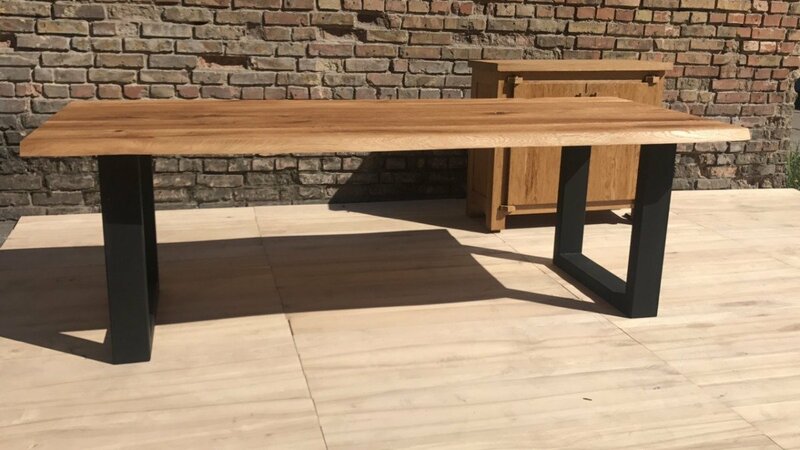 Legs for this table can be picked up any shape, legs for the table are made of a metal pipe size 100×100 mm. 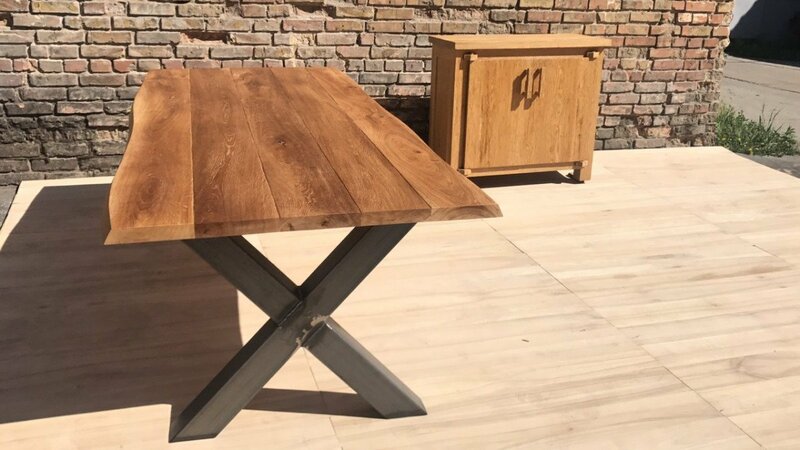 This table is covered with a special varnish for choice the following colors are available: clear varnish, white varnish, gray varnish, brown varnish. Varnish helps protect wood from moisture. 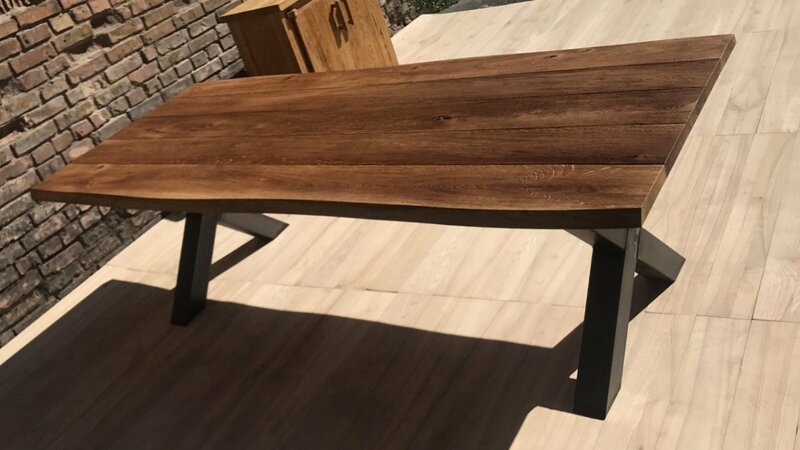 You can order a batch of these tables at a low price. The minimum order for sending 5 pieces. At the order we make out the contract on manufacture and delivery of the goods to the buyer.